There exists only 1 type of major scale, but there are 3 types of minor scales: natural minor, harmonic minor and melodic minor. Why do we have 3 different minor scales? How are the 3 types of minor scales formed? What is the difference between harmonic and melodic minor? How to use the different minor scales? You will discover all of this here in this tutorial. I will here only briefly describe the natural minor scale, since you can have all the details of this scale in the lesson “How to form a natural minor scale“. First of all: why is the natural minor scale named as such? This is because the natural minor scale is based on the major scale. For example: the notes of the A natural minor scale are exactly the same as the notes of the C major scale, the A natural minor scale only starts on the A instead of on the C.
You can say that A minor is the relative minor of C major. Or, you can also say: C major is the relative major of A minor. So both scales share exactly the same notes, they only start on a different note. Notice that A is the 6th note in the scale of C major. In general, you can say: a natural minor scale can be found by playing the notes of a major scale starting on the 6th note of that major scale. Or, in other words: you can find a relative minor of a major scale by going up a major 6th interval (or going down a minor 3rd interval, the result is the same, you will arrive at the same note). Why do we need more minor scales? 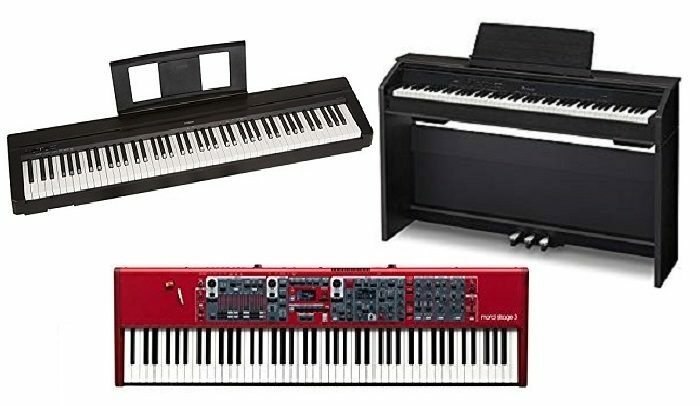 Now, why only just the natural minor scale is not enough? Why do we need more than one simple minor scale? To understand this, you have to look at the leading tone (also called leading note). A leading tone is a note that resolves to another note a semitone up (or down). In our case, the leading tone resolves to the root of the scale we’re in. Let me illustrate this with the C major scale. 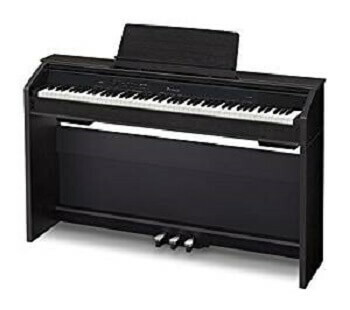 Play the C major scale starting on C and go up till you reach the 7th note, the B. When you end your line on the B, it sounds as if something is missing, as if it’s not finished. You can solve this ‘problem’ by playing the next note a semitone higher than the B, which is the C (the root of our C major scale). What you did is resolving the B by playing the next note a semitone higher, the C.
The B is called a leading tone; it’s a semitone away from our resolution, the C, the root of our scale. In all major scales, the 7th note is a semitone away from the root. So in a major scale, the 7th note is a leading tone. You can see that in the next figure where I show this with the C major scale. The ‘major scale formula’ (WWHWWWH) is the same for all major scales. Since the natural minor scale has no leading tone, the harmonic minor scale was introduced. The harmonic minor scale is almost equal to the natural minor scale. 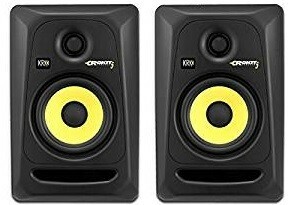 The only difference is the 7th note which is raised by a half tone. In that way, the ‘leading tone-problem’ is solved. 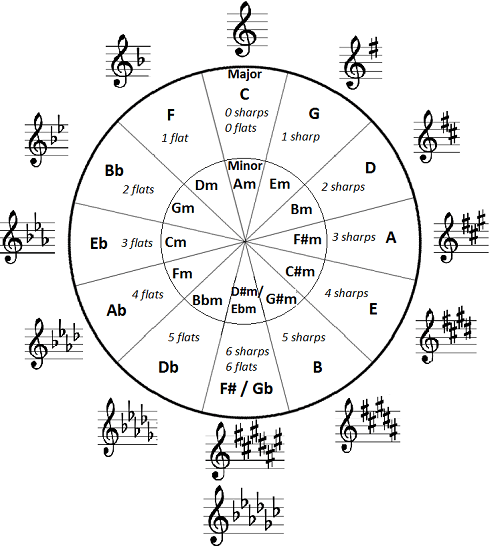 Let me illustrate this again with the C minor scale. It’s as easy as that! When you want to know a harmonic minor scale: take the natural minor scale and raise the 7th note by a half tone and you’re done! 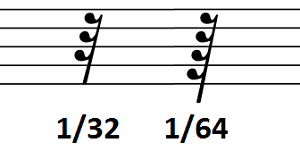 Notice the special interval between the 6th and 7th note of the harmonic minor scale: 3 semitones, which you probably recognized as a minor 3rd interval. This is quite special because till now we’ve seen only half tone and whole tone intervals between two consecutive notes of a scale. This interval of 3 semitones gives the harmonic minor scale a very nice sounding effect. I would even say: an exotic effect. By the way: the 3 semitone-interval is in this case technically spoken NOT a minor 3rd interval, but an augmented 2nd interval, since we’re going from Ab to B (in C harmonic minor) and not from G# to B. Look at the next figure to have an overview of the intervals between the notes of a harmonic minor scale and with the ‘harmonic minor scale formula’. You can clearly see the semitone -or half tone- interval (H) between the leading tone (the 7th note of the interval) and the root. 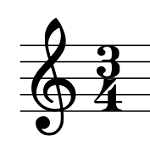 The augmented 2nd interval is displayed as 1½ whole tones (=3 semitones). The exotic sounding augmented 2nd interval in the harmonic minor scale is however not always the wanted effect. And this is where the melodic minor scale comes into play. In order to have a minor scale with a leading tone but without an augmented 2nd interval between two consecutive scale notes, just take the harmonic minor scale and raise the 6th note of the harmonic minor scale by a semitone. 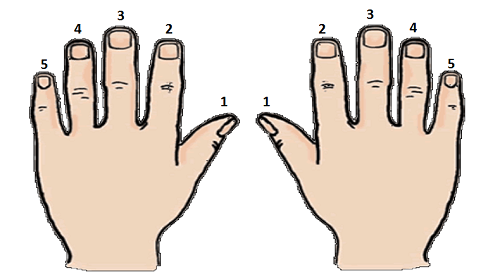 The scale obtained in this way is called a melodic minor scale. doesn’t have an augmented 2nd interval between two consecutive notes of the scale. Note that in classical theory the descending melodic scale is not the same as the ascending melodic scale: the ascending scale is the one you just saw here above, the descending scale is simply the natural minor scale. 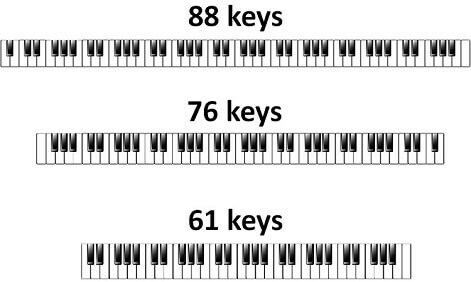 In modern music (jazz), the ascending and descending melodic minor scale are the same. In the next infographic, you can see an overview of the differences and similarities between the major scale and the natural, harmonic and melodic minor scale. 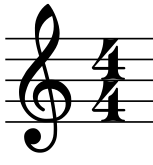 At a glance, you can see the intervals between the notes of the scale (1, 2 or 3 semitones). 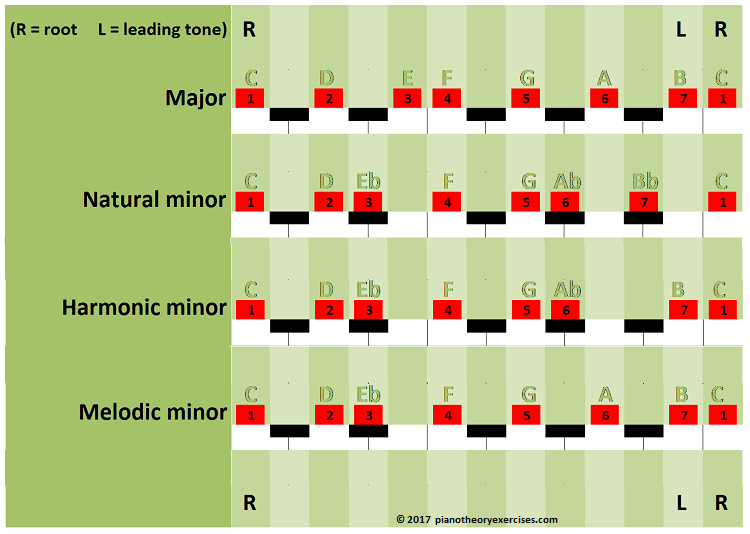 The examples are based on the scales with C as a root note, but this infographic applies of course to major and minor scales in all roots. When are the harmonic and melodic minor scales used? Let me first show you how the harmonic minor scale could be used in a melody or in a solo. 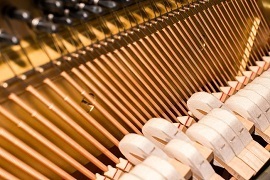 Imagine playing a piece in the key of C minor. You would then normally (but not exclusively) play a melody or a solo with the notes of the C natural minor scale. 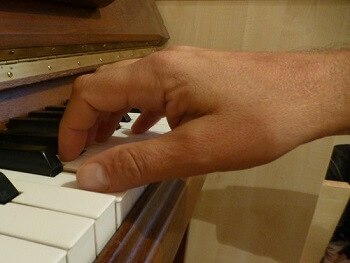 Now, let’s assume that the piece contains a G7 chord. 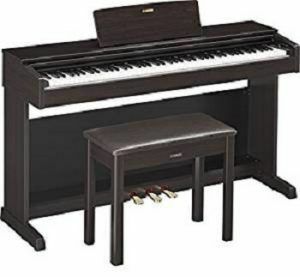 The G7 chord consists of the notes G, B, D and F.
When you would continue to play in C natural minor over the G7 chord, the Bb in C natural minor could conflict with the B in the G7. So that’s where you could play C harmonic minor instead of C natural minor. There are plenty of similar cases of when to use the harmonic minor scale; this is just one example. So, what about the melodic minor scale? The melodic minor scale forms the basis of melodic minor harmony on which are based a lot of scales often used in jazz (altered scale, half diminished scale …). So when a jazz musician improvises over a scale derived from melodic minor harmony, he will play notes from the melodic minor scale. If you liked this lesson, or if you have any questions or comments, please leave a comment below. Musical notes are written on a staff. 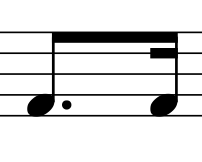 A staff consists of 5 horizontal lines where the notes can be placed. 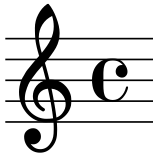 The notes on the treble clef can be on or in between the 5 horizontal lines. The treble clef is mainly for notes from middle C and higher. So this is for the right hand on the piano. This is, however, not a rule. 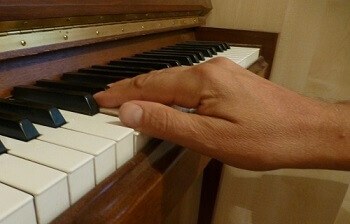 You can display notes on a treble clef that are lower than middle C. And sometimes, but not often, notes on the treble clef are played with the left hand. As I said, the notes can be displayed on or in between the lines of the staff. 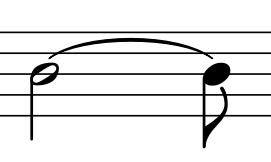 The note on the lowest line is an E. This is the E which is a major 3rd higher than the middle C.
The next note, F, is displayed between the lowest 2 lines of the staff. The G is on the 2nd line. In this way we can go on, which gives us all the notes that can be placed on or in between the lines of the staff. An easy way to remember the notes on the treble clef is by looking at the notes that go in between the lines: they make the word ‘FACE’. From the ‘FACE’-notes, it’s very easy to deduce all the other notes. As I mentioned before: the treble clef is for notes from middle C and higher. And it was even possible to display notes lower than middle C. How is this possible when the note on the lowest line is an E? Let’s first put a D on the staff. That’s still easy: just put it under the lowest line. But how can we put the middle C? The middle C should be again on a line. But we don’t have any lines anymore. Well, you can do that with ledger lines. It’s also possible to put ledger lines above the staff to display higher notes. 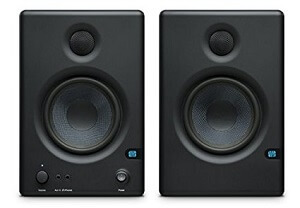 Can you see which note is displayed in the next figure? If not: it’s an E! For the lower notes (so for the left hand on the piano), we have the bass clef, which we will see in another lesson. 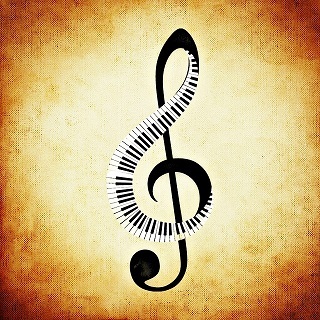 The notes on the treble clef we’ve seen till now are only ‘white key’ notes. We will see how to display the sharp and flat notes in another lesson. And now it’s time to do some exercises. 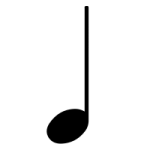 Click on the link below to test your knowledge of the notes on the treble clef. Please tell us what you think of this lesson (and the trick to remember the treble clef notes) by leaving a comment below.